Dung Quat refinery (No.1 – the first oil refinery in Vietnam) was planned in January 1998 when the Vietnamese Ministry of Planning and Investment, keen to have domestic refining capability, granted approval for an oil refinery in the central Quang Ngaoi region of Vietnam. Construction of the refinery started on 28 November 2005 and the first phase was completed on 22 February 2009. Originally PetroVietnam estimated the project would cost $1.3bn, but the engineering, procurement and construction (EPC) costs went up to $2.5bn, and finally the project totalled $3bn. The input materials, testing, land clearance fees and management costs raised the project cost by $500m. The refinery underwent a test run of its power supply networks in 2008 prior to the opening. On 18 August 2009 PetroVietnam temporarily halted Dung Quat oil refinery operations because of a broken valve in a fluid catalytic cracker. The cracking section produces petrol products. Technip fixed the problem. In May 2010 Technip officially handed over the new refinery to PetroVietnam. In addition to managing and running the facility, PetroVietnam will also market the products manufactured at the refinery. Technip was fined $16m for several delays in handing over the project. The plant was earlier scheduled for completion in February 2010. In May 2010 the refinery processed four million tons of crude and produced three million tons of oil products such as gasoline, diesel and fuel oil. By the end of 2010, the refinery processed 7.2 million tons of crude products. "In May 2010 Technip officially handed over the new refinery to PetroVietnam." An expansion project to increase the refinery’s capacity from 6.5 million tons to ten million tons by 2017 is planned to be undertaken. The project is expected to require an investment of $1bn-$2bn. The refinery is currently refining sweet crude oil produced in South East Asia. Following the completion of the expansion, the refinery will process 50% of Middle East sour crude oil and 50% of sweet crude oil. The expansion project will add a crude pre-flasher, vacuum distillation unit, a visbreaker, mercury removal unit and other facilities. Existing units of the refinery will be upgraded to process the Middle East sour crude oil. JGC Corporation was contracted to carry out a preliminary feasibility study for the project in July 2009. The pre-feasibility study was completed and submitted by JGC in December 2009. The Vietnamese Government approved the pre feasibility study in October 2010. JGC was subsequently contracted to carry out a detailed feasibility study. The capacity of the refinery is 6.5 million tons of low sulphur crude a year (5.5 million tons of Bach Ho crude from Vietnam and one million tons of Middle East sour crude a year – 130,000bpd) using deep and modern processing configurations including: a continuous catalytic reformer (CCR), residual fluid catalytic cracking (RFCC) and a benzene, toluene xylene (BTX) plant. When the plant runs at full capacity, products will include: about 23,000t LPG, unleaded petrol, kerosene / 30,000t of jet fuel, feedstock for the propylene plant, about 25,000t of FO, 240,000t of diesel (industrial and auto), 8,000t of propylene and 150,000t of petrol and petrochemical production each month. The products from the refinery are expected to meet about 30% of domestic requirements. The project has been plagued by a series of delays, three times involving the withdrawal of foreign oil companies from the project. One of the main reasons for the reluctance of foreign investors is that the refinery is sited in Dung Quat (it was moved from a more viable location at Vung Tau). The Vietnamese Government wanted it in Dung Quat to bring employment and development to the central regions of Vietnam. This meant, however, that the refinery was 1,000km from the country’s Bach Ho oilfields off the southern coast, which increased costs for the transportation of crude oil and refined products and possibly the need to construct a pipeline. The site is also situated far from the country’s economic centres, Ho Chi Minh City and Hanoi, but with the price of crude oil at an all-time high in 2008 the project made economic sense. The Dung Quat refinery story began in 1995 with the withdrawal of Total from the project (Total claimed the site of the refinery made no sense and would involve increased costs of more than $500m). A consortium of foreign firms stepped in (LG Group, Petronas, Conoco, Stone and Webster and PRC – Chinese Petroleum Company and China Development) but withdrew two years later for the same reasons. In 1999, Prime Minister Phan Vaên Khaûi took steps to speed up construction of the country’s first oil refinery. The rekindled project was a joint venture between Vietsovpetro (a Vietnam-Russia joint venture responsible for the bulk of Vietnam’s oil exports) and Russia’s External Economic Federation (Zarubeznheft). The joint venture was dissolved in December 2002 by the Russians who claimed the refinery was not economically viable at the intended site. In February 2003 Vietnam decided to go it alone and continue with the refinery construction. Phase I operations began in February 2009. The Dung Quat refinery has cost an estimated at $3bn for construction and equipment. The original front-end engineering and design contractor for the project was Foster Wheeler Energy of the UK (this was superseded by a FEED agreement signed with Technip in 2004). The refinery was built on a site consisting of 338ha of land and 473ha of sea in the Dung Quat Economic Zone. Vietnam has awarded contracts to a group of construction companies including Technip-Coflexip of France, JGC Corp of Japan and Technicas Reunidas of Spain, for technology and equipment supply. Stone and Webster provided project management consultancy services as per their October 2003 contract. One of the consortia, TPC Complex, which consists of Technip, Technip Geoproduction and Technicas Reunidas, was awarded the engineering, procurement and construction turnkey contracts No.1 and No.4 for the refinery in May 2005. In June 2006 the refinery selected the SmartPlant Enterprise as its standard software for management of plant design, maintenance and operations of the plant. Vietnam’s National Assembly approved the construction of the Oil Refinery No.1 (Dung Quat) in 1997 with an investment of $1.3bn (costs have since increased to $2.5bn), which came from crude oil revenue, credits and bond sales. Vietnam reimbursed Russia the $235m it had put into the VietRoss venture in December 2002 when Russia withdrew (this money was previously earmarked for reinvestment into the offshore oil and gas fields of Vietnam). The Bank for Foreign Trade of Vietnam (Vietcombank) was able to arrange loans worth $250m. The consortium of contractors that won tender package No.1 was also able to arrange loans of $500m in deferred payment terms. Vietnam exports crude oil mainly to China, Singapore, Japan, Britain and the US. Vietnam’s crude oil production decreased by 5.7% to 305,000 barrels a day in 2008. "An expansion project to increase the refinery’s capacity from 6.5 million tons to ten million tons by 2017 is planned to be undertaken. The project is expected to require an investment of $1bn to $2bn." The Ministry of Planning and Investment proposed the Vietnamese Government lower crude oil exports between 2006 and 2010, to ensure sufficient supply of the product for domestic industries. Accordingly, the country’s crude oil export will decline to 15.6 million tons in 2010 to reduce reliance on petroleum imports. Vietnam is keen to become totally self dependent for oil and gas as quickly as possible. For the first seven months of 2009, Vietnam’s crude oil exports fell by 45% compared to the exports during the same period in 2008. Vietnam is keen to become totally self dependent for oil and gas as quickly as possible. There are still major problems with the deep-sea port of Dung Quat in that it is still not large enough nor is it well equipped enough to allow the easy transport and unloading of the heavy equipment required to build the refinery. The road from the port to the site of the refinery is in a poor condition. Vietnam National Shipping Lines (Vinalines) and Gemadept (a transport joint-stock company) were given permission from the Ministry of Transport to invest in building two new wharves at the port to help alleviate problems. Abnormal Loading Engineering, a UK-based worldwide heavy transportation and lifting company, was at the port and refinery to conduct a series of on-site surveys to determine if its expertise can help in the movement of refinery heavy equipment. However, Abnormal Loading Engineering raised a number of issues needing to be addressed if it was to work on the project. The port is crucial because this is where crude oil is transported to the refinery (in the absence of a viable pipeline from the oilfields) and where refined products are transported to market. The Vietnamese Government has also planned the construction of two more refineries within the same timescale as Dung Quat. The second installation will be at Nghi Son in Thanh Hoa, about 1,200km north of the oilfields – still a logistical transport problem for crude feedstock and refined products. PetroVietnam, Kuwait and Japanese partners signed an agreement in March 2007 for the Nghi Son refinery with an initial refining capacity of about ten million tons annually. In February 2010 Foster Wheeler won the contract for providing technical and commercial services for the refinery. Foster Wheeler will manage the bidding process for the new refinery. The third planned refinery, Long Son, will be located in the south at Vung Tau, which is closer to the oilfields and has a better chance of being economically viable. The Long Son refinery will begin operations in 2015. 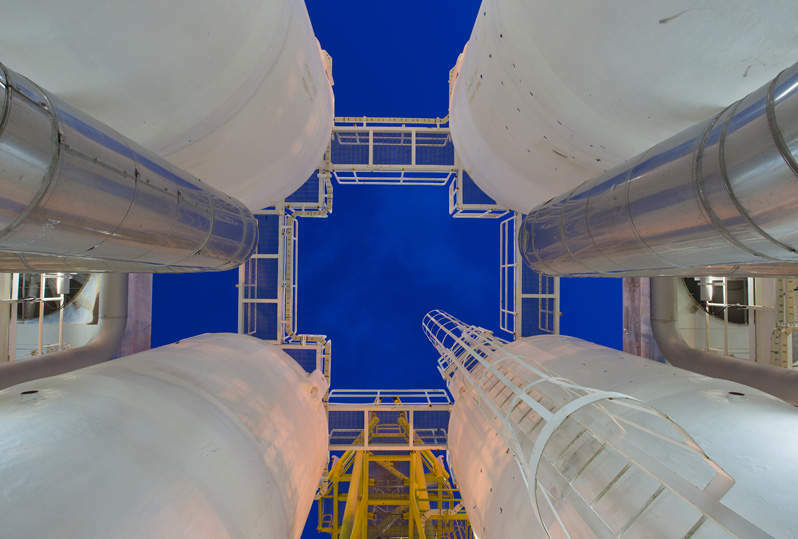 Balanced Engineering and Construction (BEC) is a market leader in a highly specialised field, with an impressive track record in the power of the petroleum chemicals industry. 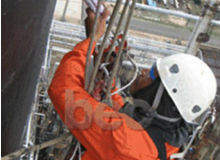 Balanced Engineering and Design have extensive experience in the repair and maintenance of chemical industry plants. 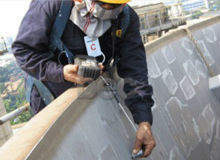 Balanced Engineering and Construction can provide thorough inspection services.